Swasti means welfare and auspicious. In this way, swastik means welfare or good work. Swastik is the special type of figure, which is prepared before starting any work. It is believed that it attracts auspicious and welfare from the four sides. It is kept in auspicious work. Therefore, it is also known as form of lord Ganesha. Swastik gives prosperity, affluence and concentration. 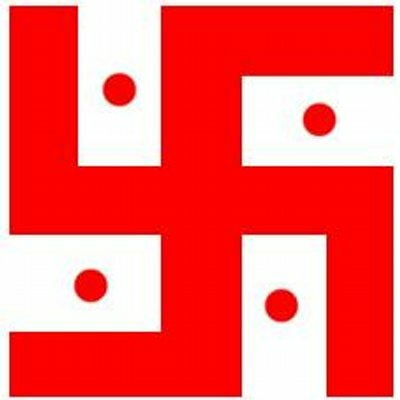 Worship won’t give benefits if one avoids swastik. One gets too much positive energy if he uses proper swastik. This energy protects a person. If swastik is used in hospital or daily routine then one become disease free and tension free. However, swastik with wrong experiment creates awful problems. The lines and angles of swastik should be perfect. Never try or create wrong swastik. Red and yellow color swastik are very good to use. You can wear swastik in gola. One can use red color swastik at Vastu dosh or main entrance. You can also keep swastik at worship place, study table or in front of vehicle. You can wear gold or silver swastik in red color threat, in threat. It increases concentration. Electronic items won’t breakdown easily if one does swastik on it. Remedy: Never intake milk or meat in copper utensils. It increases stomach and skin problem. How Food Can Change your Luck?